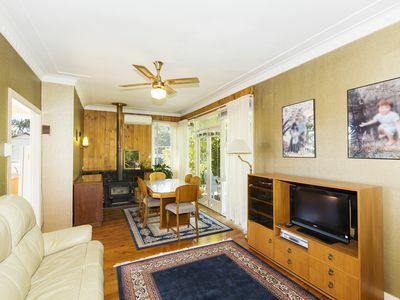 Set on a generous 2,974m2 (approx.) 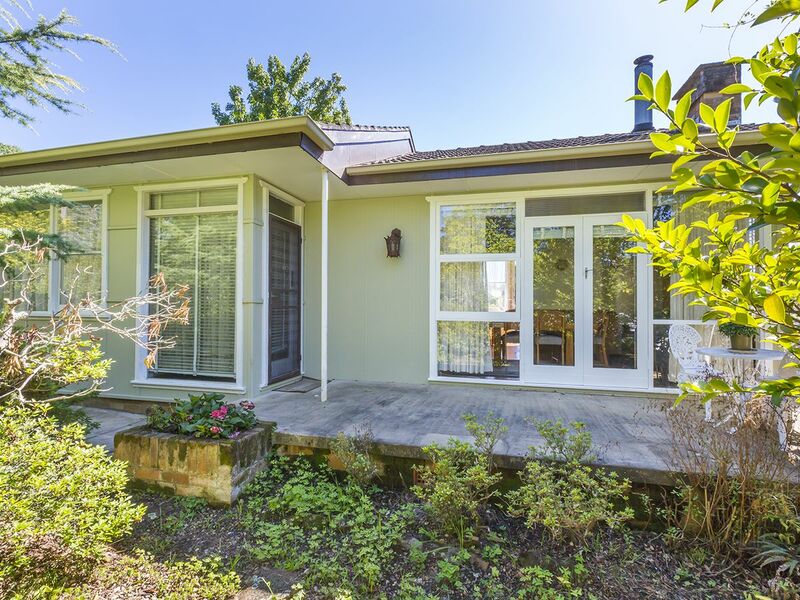 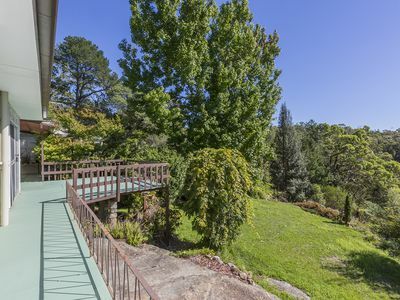 block with privacy from the street, a unique backyard blending natural rock shelves with lush lawns, native gardens, and mature native trees, all with a picturesque bush outlook, this spacious cottage has that sought-after mountains feel. 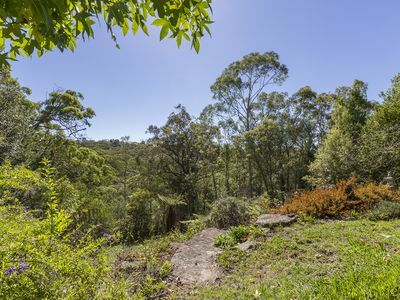 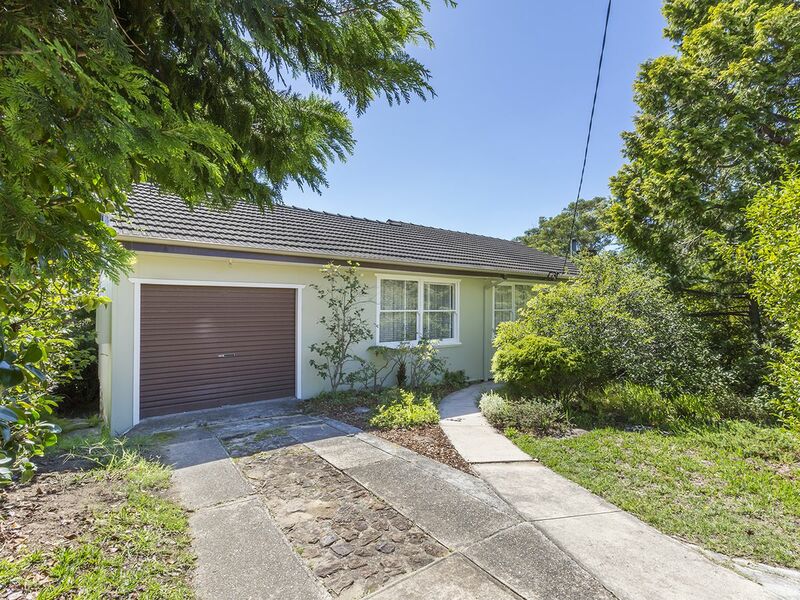 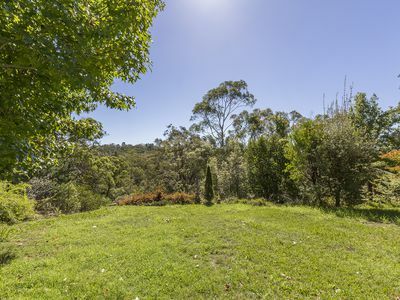 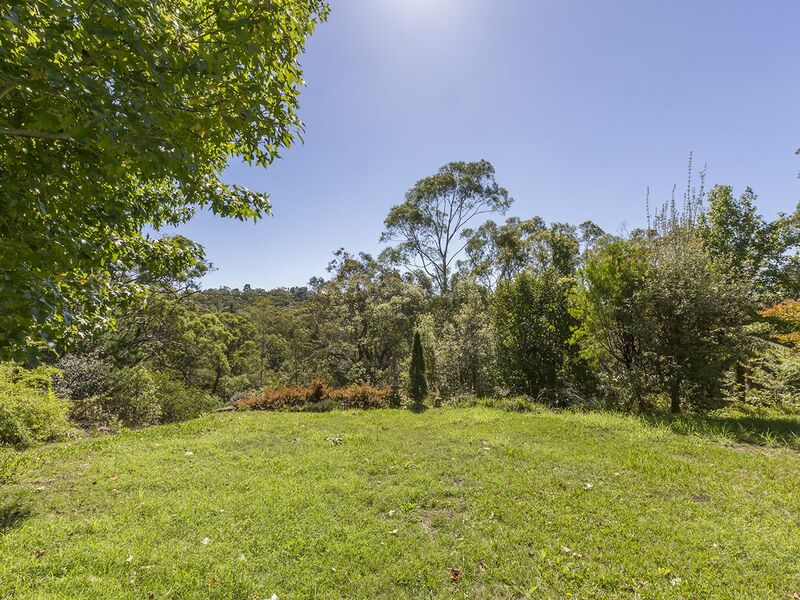 A northerly aspect from the rear of the home drenches the property in warm natural light, while its location is peaceful and private yet highly convenient; walking distance to Faulconbridge train station as well as local parks and bushwalking tracks, and just moments to local schools and shops. The lounge is combined with the dining area in an open plan, flowing out to the front porch through French doors. 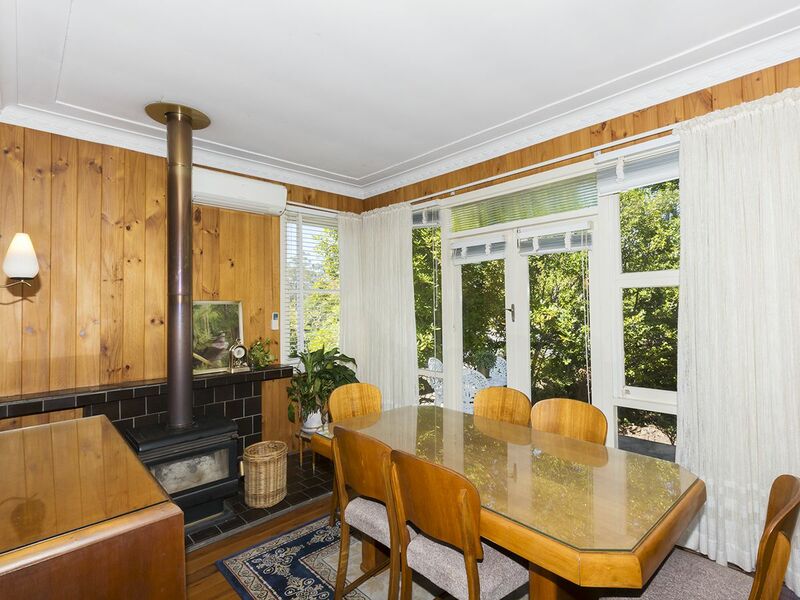 This room contains a ceiling fan, split system air conditioning, and a cosy slow combustion fireplace for year round comfort. 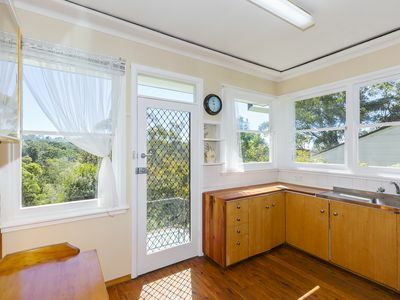 The bright and airy kitchen has plenty of timber cabinetry, has space for a meals area, offers bush views, and leads out to the rear balcony. 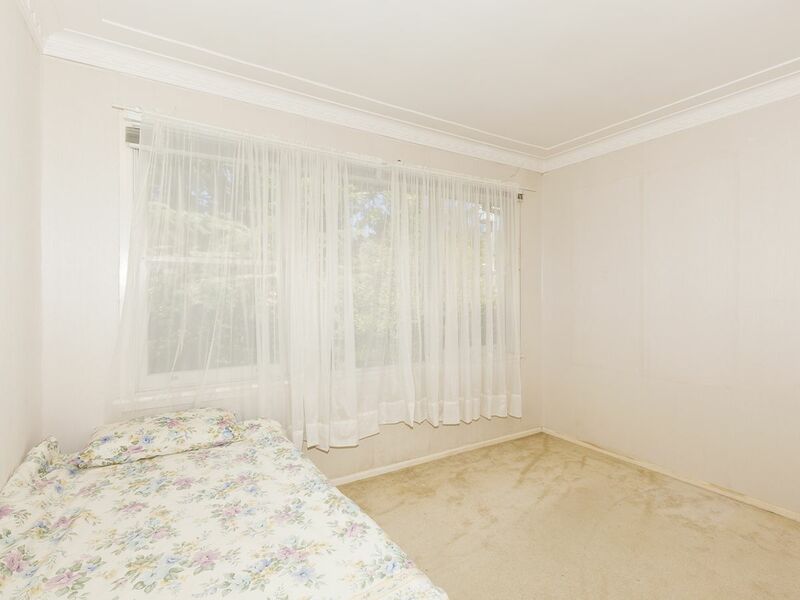 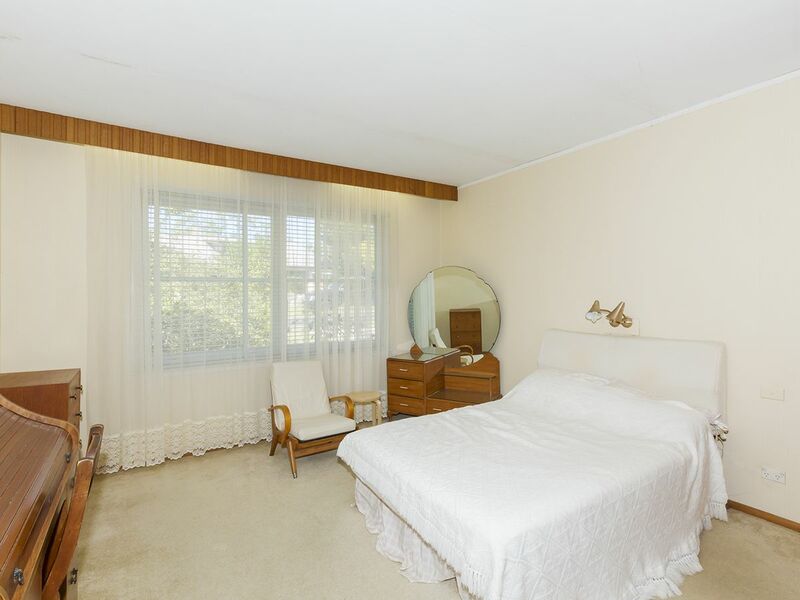 The bedrooms are both very large and contain a built-in wardrobe. The expansive master bedroom also features an en-suite bathroom and direct access to the rear timber deck, which overlooks the yard and bush views making it the ideal outdoor entertaining space. 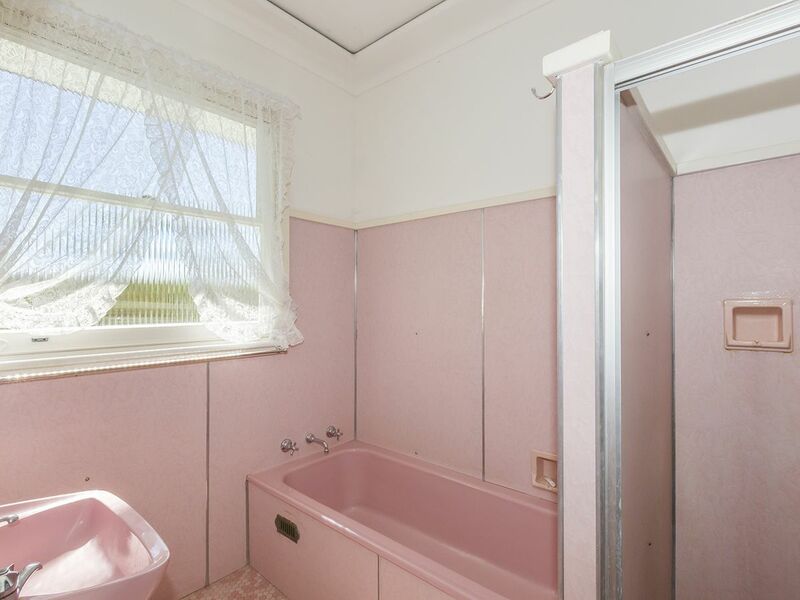 The family bathroom is original but neat and tidy, with the convenience of a separate toilet. 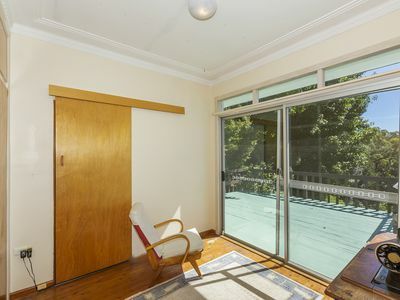 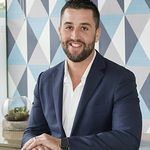 The home also features a versatile sunroom with access to the back deck; this could be used as a study, a second living area, a nursery, a kids play room, or a parents retreat. 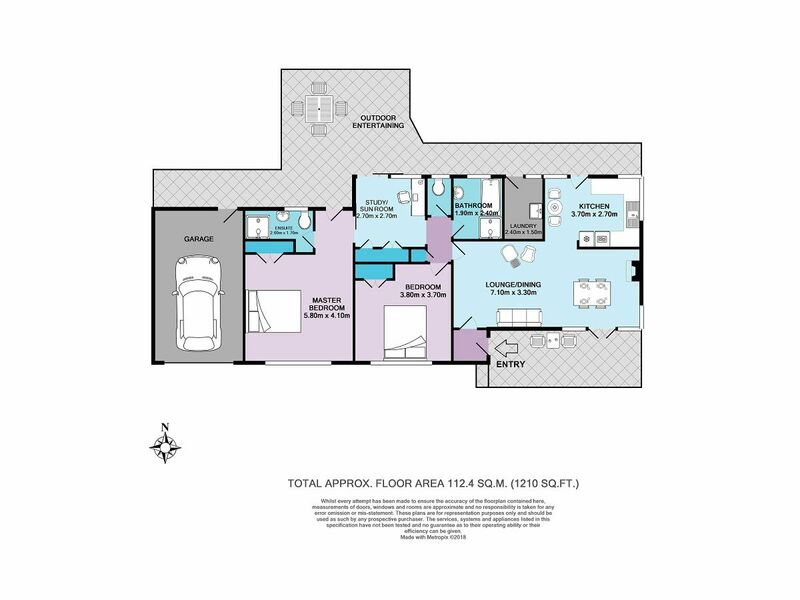 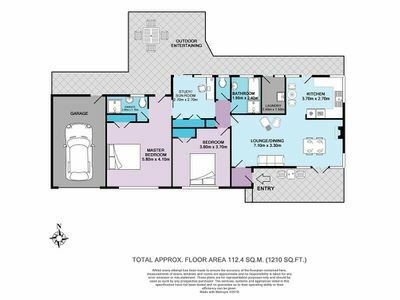 Additional features to note include: lock-up garage with rear balcony access plus additional off street parking; timber floors; elevated ceilings with ornate cornices; garden shed. 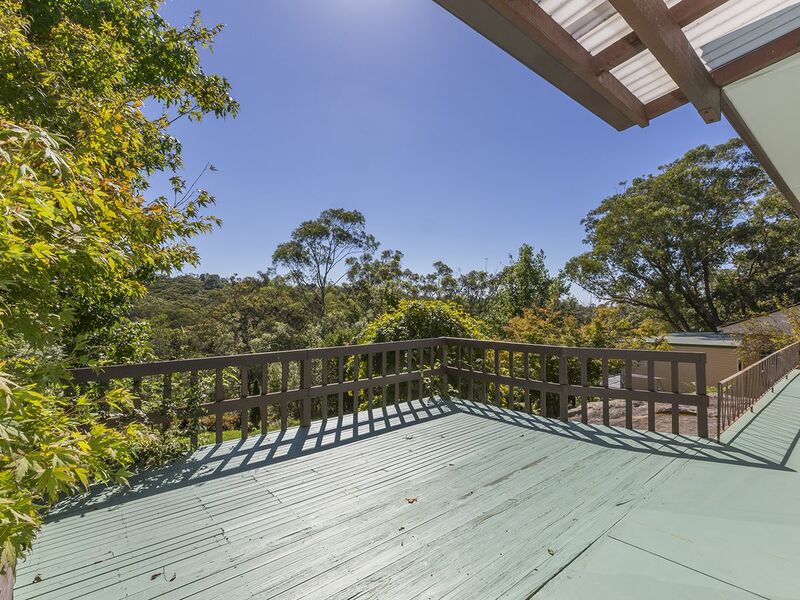 Please contact Lister & Cole Estate Agents for further details on this sun-drenched cottage with a beautiful bush backdrop.